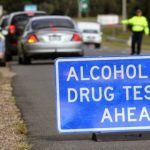 The Berejiklian government announced in January that NSW police are set to more than double the number of roadside drug tests they conduct from 97,000 to 200,000 a year by 2020. And along with more tests, another drug will be added to the list that officers test for. 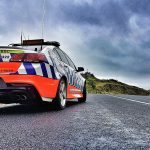 As of 1 July, NSW police will begin testing drivers for the presence of cocaine. Critics of the program have lauded this move, as they’ve long questioned whether the drug wasn’t on the list of targeted substances because it’s the drug of choice for the wealthy and powerful. Currently, NSW police test drivers for three substances: amphetamines, MDMA, and THC, the psychoactive component of cannabis. And unlike random breath testing for alcohol, police aren’t testing for amounts that would impair driving ability, but for any minute trace. 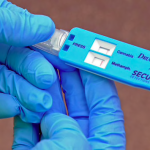 So, rather than focusing on drivers who pose a danger, the NSW police mobile drug testing program is regularly punishing drivers who are no longer under the influence, often including those who took drugs days prior to testing. As NSW Greens MLC David Shoebridge has suggested, testing for the drug of the rich might finally lead to the regime being changed. But as legislative processes are underway to legalise cannabis for medicinal purposes, it is becoming glaringly obvious that the NSW drug driving regime needs a drastic overhaul. Long-time cannabis activist Loren Paul Wiener pointed to a piece of legislation currently before NSW parliament that will legalise low THC cannabis leaf. And Mr Wiener, who’s consulted with government on law reform in the past, believes this amendment should prompt a law change. The Justice Legislation Amendment Bill (No 2) 2018 is a piece of legislation that makes miscellaneous amendments to various bills to address emerging issues and close gaps to improve the justice portfolio. The NSW upper house passed it on Wednesday, and the lower house will now consider it. The bill will amend the Drug Misuse and Trafficking Act 1985 so that cannabis leaf associated with the production of hemp seed foods will no longer be included in schedule 1 of the Act, which is a list of plants and substances that are prohibited. Basically, it will bring state laws into line with the Australia New Zealand Food Standards Code. Standard 1.4.4 of the Code was amended last year to allow for low THC hemp seeds and food derived from them to be legally sold and consumed in Australia, which took effect on 12 November. According to Wiener, as NSW laws are being brought into compliance with bi-national laws, the state’s drug driving laws need to change. He raises concerns that given police only test for traces of THC this could lead to drivers who’ve consumed products with low THC testing positive. 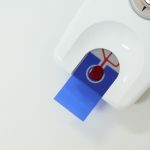 “As a result of these tests, it was determined no change was needed to the mobile drug testing program,” the spokesperson explained. And back in 2013, the ACT Magistrates Court dismissed drug driving proceedings against a senior public servant, whose blood test resulted in a positive THC reading, even though it was found the result was caused by muesli containing hemp seeds. While the hospital administered blood test, which was carried out following a road accident, is more sensitive than roadside saliva testing, the case does highlight that anomalies occur under this zero tolerance approach. Australian hemp seed pioneer Andrew Kavasilas said in January that concerns over the THC contained in hemp seed foods showing up in roadside drug tests held back the industry for eight years. 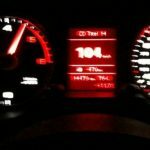 Today, Kavasilas still considers there’s the chance hemp seed consumption can result in people being subjected “to the criminal justice system through no fault of their own.” But, he believes hemp seeds and saliva testing is a prelude to the bigger issue of medical cannabis and drug driving. Hemp and marijuana are both varieties of the cannabis plant. But hemp has a much lower THC concentration than marijuana, which is the cannabis variety that has been proven beneficial in treating a range of medical conditions. A recent push by South Australian Dignity Party MLC Kelly Vincent to have her state’s drug driving laws amended to allow for certified medicinal cannabis patients to drive without fear of prosecution was eventually knocked down in state parliament. 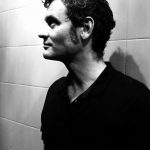 Mr Kavasilas, who’s the secretary of the Australian HEMP Party, has been a long-term critic of Australian roadside drug testing practices, which began in NSW in 2007. He stressed that this is the only country in the world using this trace-based testing regime. And further, Kavasilas points out that since this “ill-conceived strategy was introduced” road fatalities in this country have actually increased, while in Canada and 29 US states where medicinal cannabis is legal the opposite is true. 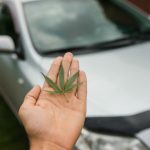 In US jurisdictions where cannabis medicine is legal the overall traffic fatality rate was shown to have dropped by 11 percent. And the question as to how long traces of THC remain in a person’s system is also at issue here. Magistrate Heilpern ruled Joseph Carrall was not guilty of drug driving in February 2016, as it was found he hadn’t smoked any cannabis for nine days prior to testing positive. NSW police currently use the Draeger 5000 in its roadside drug testing program. The device has the capacity to test for eight different illicit substances, including legally prescribed benzodiazepines, which have been found in the system of more drivers who’ve caused crashes than THC. Mr Wiener said that he contacted Draeger on Monday and was told that the company officially says THC can remain in a person’s system for up to four days, but usually it’s much less. This means a person can test positive to THC long after they’re actually under the influence of the substance. In Norway, the government has had laws in place since February 2012, that specify the impairment levels that make it unsafe to operate a road vehicle for a range of non-alcohol drugs. Norwegian police now test for twenty different legal and illegal substances. In NSW, such a system would mean that drivers who have consumed hemp seed foods, taken medicinal cannabis, or even smoked a joint days prior wouldn’t test positive. It would also allow NSW police to concentrate on drivers who actually pose a threat to others. 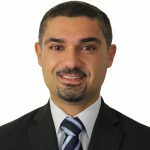 But, until an impairment-based system is introduced in NSW, the current system will continue to operate not only as a backdoor way of punishing people for taking illegal drugs, but also as a means of criminalising individuals for taking legitimate medicines and even eating legalised foods.